Each year, over 700 individuals will perish in accidents related to all-terrain vehicles or ATV’s. Over this past Memorial Day weekend, Mississippi became the site of two such fatal accidents. In Ripley, a 93 year old former Tippah County constable died in an ATV accident. Leroy Derrick was driving his Honda Rancher ATV when he attempted to cross Mississippi 4. He was tragically struck by an oncoming GMC Acadia SUV. Derrick died at the scene of the accident while the driver of the car remained uninjured. Meanwhile, in Smithville, a 16 year old ATV operator was killed. Clay Lee Thompson was driving his four wheeler on Pearce Chapel Road when he lost control of the vehicle and ran into the woods and down a steep embankment. Another teen on an ATV went for help, but by the time deputies arrived at the wreckage Thompson had died from his injuries. These accidents came two weeks after a local Jackson attorney, Precious Martin, was killed in a four wheeling accident. Martin hit a curb while driving the ATV and flipped. He died from head injuries associated with the accident. ATV’s, also referred to as four wheelers or quads, are popular among both teens and adults. These vehicles are often used for fun and sport, but can also be used for hauling heavy objects. While riding an ATV can be exciting, they can lead to accidents and serious injuries. The U.S. Consumer Product Safety Commission estimates that over 100,000 ATV accidents that require emergency room treatment occur each year. A quarter of such ER trips involve children under the age of 16. Those injured in an ATV accident may have the right to recover for their losses associated with the accident. ATV accidents can be complicated, however, and require first figuring out who is responsible for the accident. For instance, if you were riding on an ATV trail that was damaged in some way, such as having huge holes or a dangerous slant, the person or organization who owns the trail could be held accountable for your injuries. If, on the other hand, you were hit by a car while driving an ATV, the negligence of the driver of the car would need to be examined. Additionally, if you were a passenger on an ATV and the driver acted negligently, you may have the right to recover against the at fault driver. Finally, the maker of the ATV itself could be held responsible if a defective design or component of the ATV lead to your accident. Each ATV accident is unique and you will require the assistance of an experienced accident attorney who can thoroughly investigate the crash and uncover your potential avenues for recovery. ATV accidents can cause serious injuries that may require months or even years of medical treatment. Children and teens are often the victim of such accidents, and are particularly vulnerable to the dangerous effects of traumatic brain injuries. The Personal Injury Attorneys at Giddens Law Firm, P.A. urge anyone who has been injured in an ATV or any other sort of accident to contact our firm immediately. Our experienced accident attorneys will examine your accident and determine whether it was caused by a negligent party, product defect, or negligent property owner. We will then guide you through the legal process to a full recovery. Our case reviews are always free and confidential. 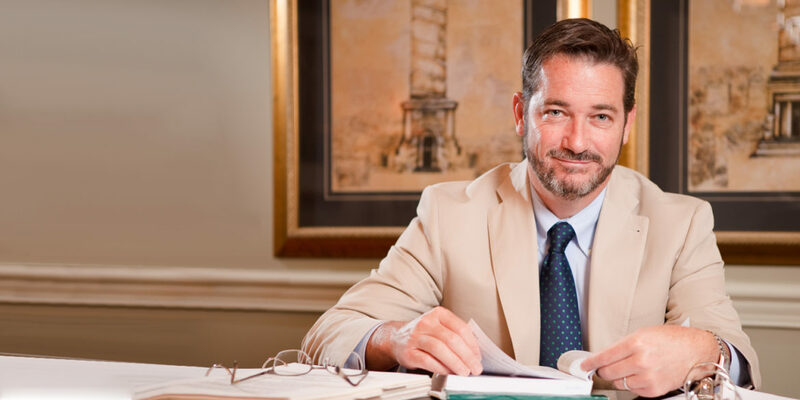 Call us today at (601) 355-2022 to see how one of our skilled personal injury attorneys can help you.